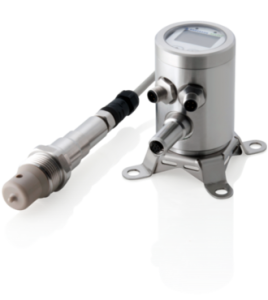 Thanks to the modular sensor platform for filling level and conductivity measurement, a perfectly tailored sensor configuration is not a matter of luck. It can feature any of the required options, while avoiding the costs for unnecessary extras. By focusing fully on the specific requirements of the food and pharmaceutical industries, Anderson-Negele develops and produces sensors that make hygienic processes safer, more economical and better. The devices feature a balanced range of functions and a modular design and thus enable solutions that are both high in quality and economical. The digital interface IO-Link offers significant advantages when it comes to reliably controlling the entire process technology with a large number of measuring points, control and operating elements. It is comparable to a multi-lane, bidirectional data highway instead of a narrow one-way street. All sensors of the modular platform are equipped with this communication standard of the future in parallel to the conventional analog 4…20 mA interfaces. This means that the advantages of both worlds can be used at any moment either at the same time or separately. The sensors for conductivity (ILM-4) and level (NSL-F) measurement are based on the innovative module device platform from Anderson-Negele. The building-block configuration enables maximum flexibility when combining individual sensor component: for the ILM-4 conductivity sensor, for example, this means that all important combinations are possible. The plant operator can choose the measurement system that optimally matches the needs of the process. At the same time, costs for unnecessary features are avoided. The separation of the measurement electronics and signal electronics of the modular device platform permits an individual and perfectly tailored configuration, and enables standardized components to be exchanged directly in the field. 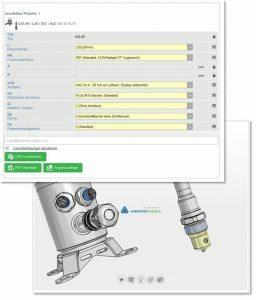 This enhances the repairability of the measurement device and simultaneously offers the potential of reducing warehousing and maintenance costs. Instead of replacing the entire device, individual components can be easily replaced on-site, thus reducing downtime. The same applies to maintenance: standardization leads to a reduction in variant proliferation and thus to savings in warehousing costs. The standard platform, in conjunction with a consistent electronics and operating concept, thus significantly contributes to simplification of the measuring equipment used in a plant. With the separated version, Anderson-Negele is consistently driving forward the platform concept. Thanks to the universal holder, the housing can be used for wall and pipe installation.The purely digital communication between the sensor and the separate electronics makes exchanging the sensor an easy task: no renewal of the cable or recalibration if the lengths differ. Cable lengths up to 30 m are possible.Separated versions are now available for the ILM-4 conductivity sensor and the NSL-F continuous level sensor. The backlit Large User Interface (LUI) shows the measurement values and is the same for all measurement procedures. In addition, the necessary sensor settings can either be created directly on the device or on the PC. The consistent operating concept enhances user comfort and reduces the potential for operating errors. 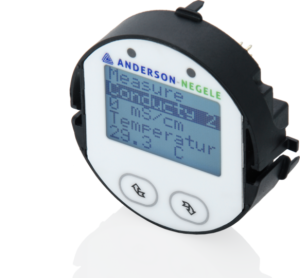 The sensor combination can be readily and comfortably created using the configurator on the Anderson-Negele website. The individually configured device can be directly viewed and checked using a 3-D view. Then the data can be downloaded and the configuration, if desired, can be sent to Anderson-Negele via the "Quotation request" button.